The rapid changing Automated Building industry has always required that all players be constantly re-educating themselves to keep current, but never has there been a time when this is so important. From the training sessions that we have participated in the message is clear "give us more information and for different levels of expertise." Our greatest source of updated education the constant flow of articles, interviews and information from our contributing editors. 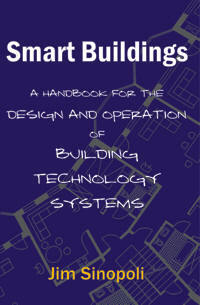 I was asked by ISA to provide input plus a review of their New Building Automation course. I am extremely impressed with the course that Ken Kolkebeck has put together. Once the usefulness of Ken's course is realized I feel it will likely become the standard for Building Automation Systems Training. Education Information is organized by Concept, Description, and Discussion. Review the concept, if you understand it proceed, if not refer to the description. If you still do not grasp the concept click through to the discussion. XML (extensible markup language) / Web Services has created several .com and .orgs to share information. This article provides you history, connection and insight into these valuable resources. The graphic depicting Automated Building Evolution indicates why there is a cry for education. We have a strong need as an industry to conceptually project our direction. These 11 trends are having a significant effect on the present rapid evolution of large Buildings Automation. These trends will help you understand the radical changes that are now occurring in control products. Not all the players in our industry have not yet made it over the digital divide. Some .com campuses are providing great examples of leading/bleeding edge online interfaces. Web-enabled Energy Education - Jack McGowan VP Energy Control Inc. The question is, will World Wide Web or "Web" change the way that education is delivered? It may be that this is one of the greatest tools to maximize the performance of automation technology. Are (W)eLearning Yet? - David Fisher President of PolarSoft Inc. The creation and delivery of learning material by electronic means "eLearning." .Form a relationship with an eLearning strategic partner. Our users are facing new challenges in all aspects of their lives and time is in short supply. e-Learning can deliver effective learning solutions that positively impact bottom line business results. The Information Technology industry has spawned an entirely new set of scripting languages. IP-based BAS protocols typically work well over Internet. Smart systems plus smart people result in smarter facility operations. 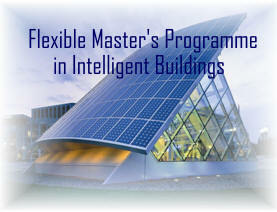 Advanced building automation systems can provide a productive and efficient indoor environment. Training and access to current on line information is cardinal for the growth of our industry. Our on line resource/portal has attempted to provide connection to some of the web resources. Favorite Articles From AutomatedBuildings.com "The Automator"
A great resource of the best articles on our web site over the last two years. The following is a list of System Training Links that will allow you to get quickly up to speed. We will continuously update as new sources are discovered. 20+ years, Len has been employed in the HVAC industry by air control and air movement product manufacturers. Engineers have found many creative ways that to satisfy these superficially conflicting objectives. Connectivity Articles for 2001 - Johnson Control Resource. "Environmental Controls".including building temperature, HVAC equipment, lighting, life safety/fire, security or whatever. One of the goals is to have all players at least acknowledge that they are in the same industry.